Spin Palace online casino has a deposit bonus offer that includes the first three deposits. The first deposit is matched by 100% up t0 400€$, the second and third deposit are 100% up to 300 €$. The total walue of the bonus package is 1 000 €$ and gets activated by 20+ €$ deposits. The bonus and deposit value have to be wagered 50x before you can withdraw it. The online casino game selection at Spin Palace is extensive and offer all customers the most common games which includes Blackjack, Slots and Roulette. Spin Palace also offers additional game types like Baccarat and Poker which makes Spin Palace a great choice for players looking for different game types. 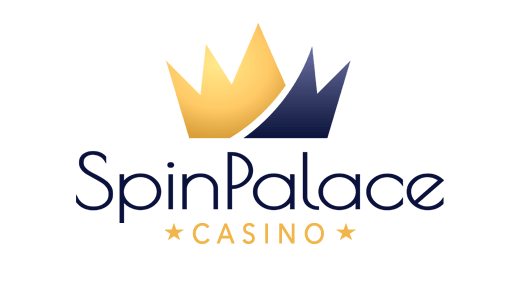 Spin Palace online casino is among with the other brands of The Palace Group a casino totally exclusive to Microgaming. They have one of the most extensive game selections from Microgaming of all casinos. Microgaming has been around since 1994 and is because of that one of the biggest and oldest casino software companies in the world. Spin Palace online casino has since the start in 2001 offered a number of different deposit options and are always looking for new ways to make it easier for their users deposit money. The most popular deposit methods included at the moment is through card payment but Spin Palace also offers a number of other deposit methods like check and Skrill. 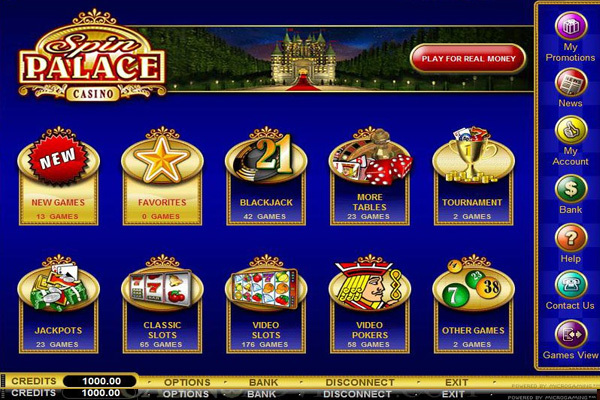 Spin Palace online casino are providing a satisfying number of withdrawal options. Including the common Direct Bank Transfer and the large credit cards like VISA and MasterCard. Spin Palace are also up to date with e-wallets and work with Skrill, Neteller and PayPal. Withdrawal times ranges from 24 hours to 7 days. Spin Palace online casino is a true giant on the English speaking markets. Supporting USD, AUD, CAD and NZD. Apart from these Spin Palace has a obvious focus on the Nordics with the Swedish and Norwegian Krona. Spin Palace gets a grade just above approved but does not impress. But they clearly support their focus crowd. Spin Palace online casino has been around since 2001 so they have got plenty of time to find support routines that serves their players well. Looking at the list of alternatives it’s easy to approve Spin Palace as a service focused brand. With live chat and toll free numbers complemented with a various list of support mails you can make sure you get directed to the right place for your eventual issues. Spin Palace online casino are focusing on three different game types as of today, these are download, instant play and mobile. Instant play is popular since it let's the player play directly in their browser and as you can imagine this is great for all of those players not willing to download any software. Mobile is something we find interesting since it enables the player to play anywhere where you can't use a laptop or desktop computer.